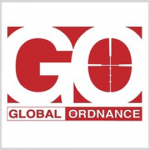 Global Ordnance has finalized its acquisition of Chemring Military Products for an undisclosed sum in a move to expand its presence in the non-standard ammunition and weapons market. Global Ordnance said Friday it will integrate CMP’s personnel and contracts into its organization and expects the transaction to help build up the company’s reputation as a supplier of NSA and NSW to defense, government and commercial clients. CMP, a Chemring Group subsidiary, is a supplier of U.S. standard and non-standard weapons and ammunitions and recorded $111M in fiscal 2018 revenues and $10.5M in operating profit. Sarasota, Fla.-based Global Ordnance is a veteran-owned small business founded in 2013 and provides ammunition, firearms and other military equipment to the U.S. Army, Special Operations Command and other defense and military clients.